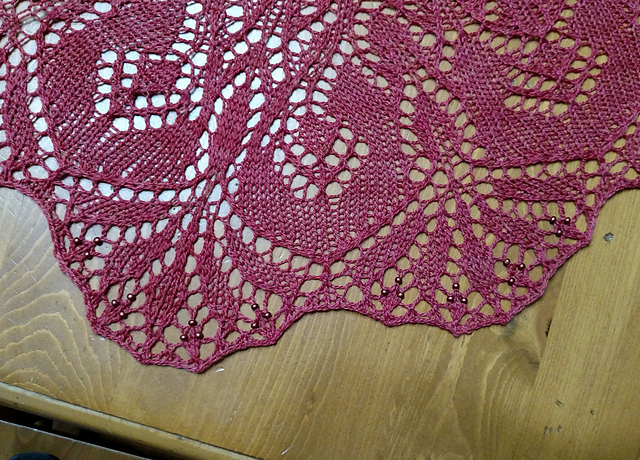 I have been, lately, in the mood for knitting lace. This hits me from time to time, usually when I am already heads down in the middle of one or more important projects, such as a test knit, or something complicated that has a set deadline. But ignoring the urge doesn’t really help because then I just don’t knit anything at all, so it’s always better to just go with it, until the feeling passes. All this is to explain why I whipped these two things up in the span of roughly two weeks last month. The first one is Artesian, and I used MollyGirl Diva sock yarn, which arrived at my house via the magic of Yarnbox. Oh, what’s that you say? It’s hard to see the actual knitted item when there are cats on it? Yes, yes welcome to my world. 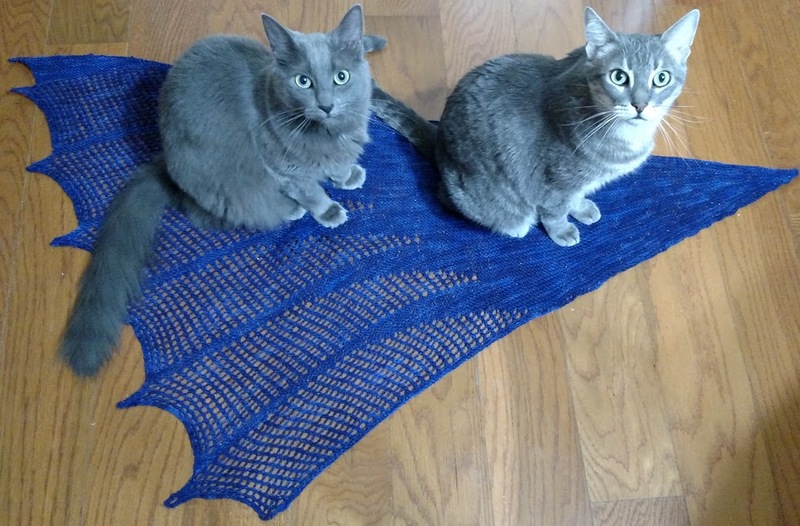 It is also hard to *knit* when there are cats on it. But I digress. Here is a better picture I managed to take in the 0.3 seconds that a cat was *not* trying to actively sit on it. 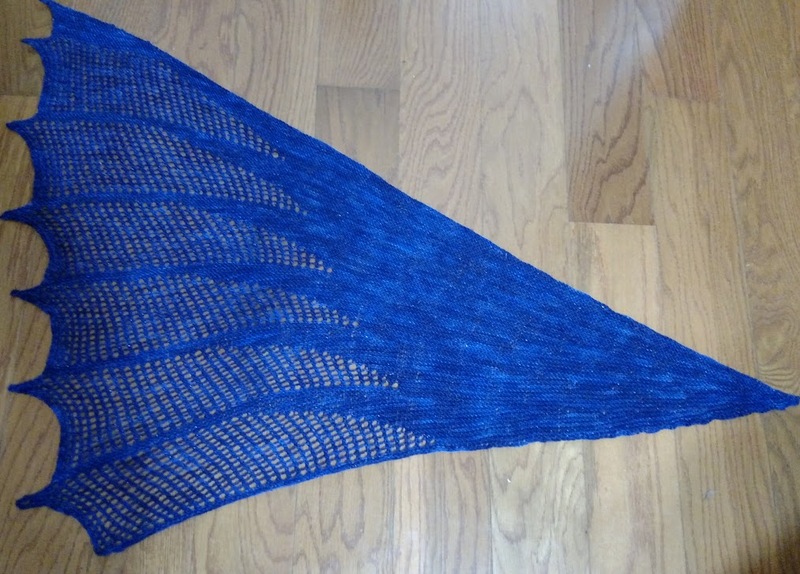 This is actually the second time I’ve knit this; the first, however, was for a shop sample for a Verb for Keeping Warm, so I didn’t get to keep it. I really liked the pattern, and the yarn I used (Even Tinier Anapurna), so when they gave me store credit, I bought a skein for myself. However, when I started knitting it with the yarn I specifically bought for it, I realized I’d rather use that yarn for something else. 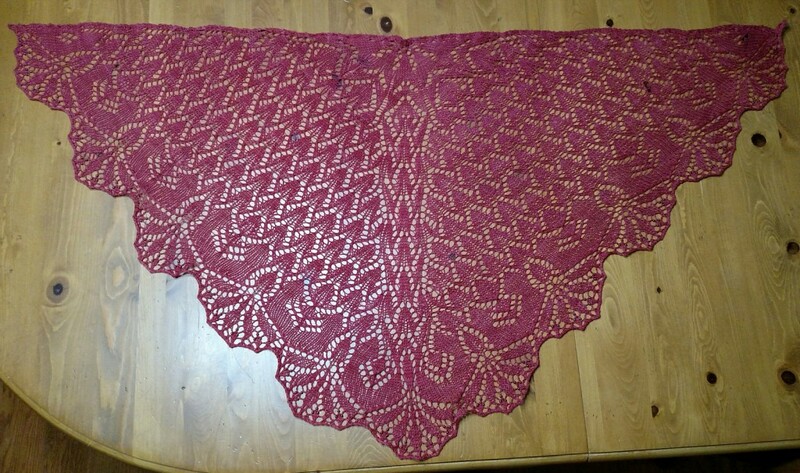 So I used the sock yarn for Artesian, and used the yarn from A Verb for Keeping Warm to make Golden Orchids instead. You probably can’t tell from the full view, so here’s a close-up. This project happens to be my very first foray into knitting with beads. Verdict – working with beads is tedious when you have to stop and put them on each individual stitch with a tiny crochet hook. Also, working with beads when you live with cats is very nerve wracking. I will let you draw your own conclusions as to why.